It's the weekend and hurrah for that! Now, how can we celebrate? We have a good idea; how about taking a look at 10 of the finest barn conversions that the UK has ever seen? While the weather is cold and miserable here in the UK, we can't think of anything nicer than sitting down with a cup of tea and taking in some fantastic home inspiration! From sympathetically restored through to ultra contemporary, we have an amazing array of barns to show you, so what are we waiting for? Let's go! A project doesn't have to be colossal to get our attention and this charming barn conversion is proof irrefutable of that fact! Though still sizeable, in comparison to other barn projects this is rather modest but it loses nothing for lack of enormity. The design team revealed that, The flint and brick walls were repaired with the frame and then highly insulated. All existing tiles were carefully removed and then reinstalled. 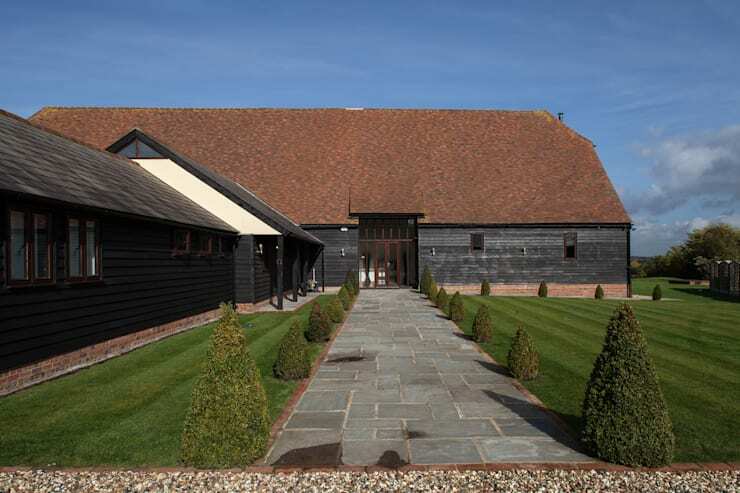 What a happy restoration project, with everything being kept original, where possible.That black cladding seems to be a recurring theme in our Top 10 barn conversions too! Found in the Cotswolds, this is one project that many people will recognise, not least because the renovation was documented on Channel 4's Grand Designs. The design team, Seymour-Smith Architects, say that, Hill Barn was a derelict 300 year old stone structure situated in a prominent and beautiful location at the top of a hill in an Area of Outstanding Natural Beauty. Being in AONB open countryside, together with the fact that there was a Housing Moratorium in the area, made the prospect of obtaining planning permission extremely unlikely. 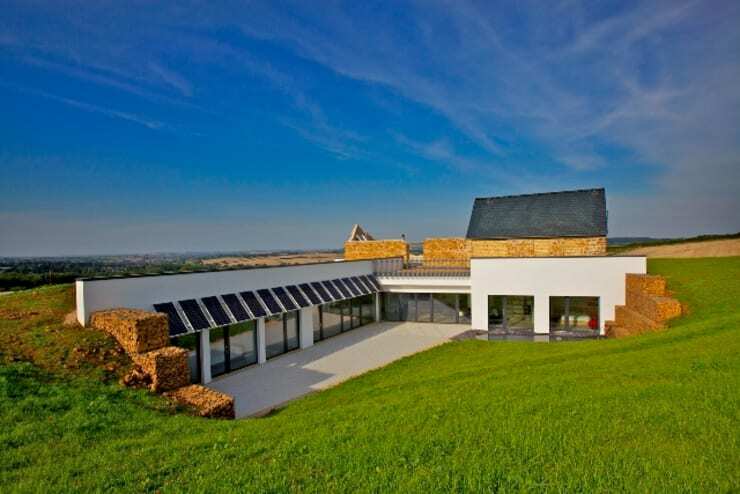 Underhill House is also designed as a Passivhaus – a German standard resulting in a 90% reduction in carbon emissions compared to that of an average home. 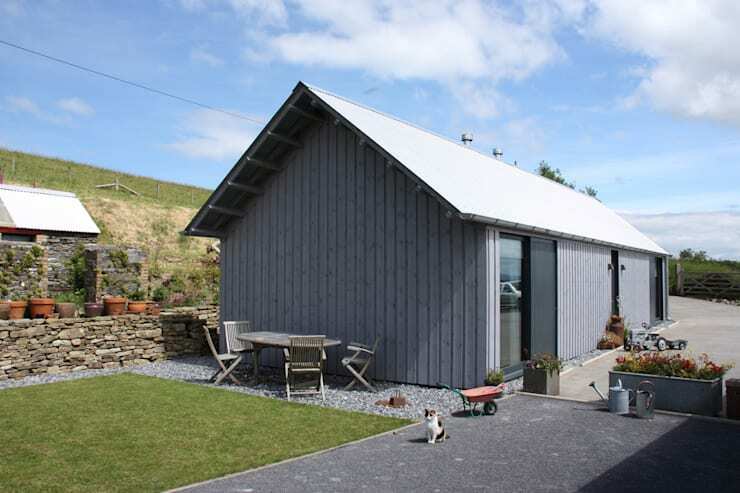 This project was in fact the first certified Passivhaus in England. 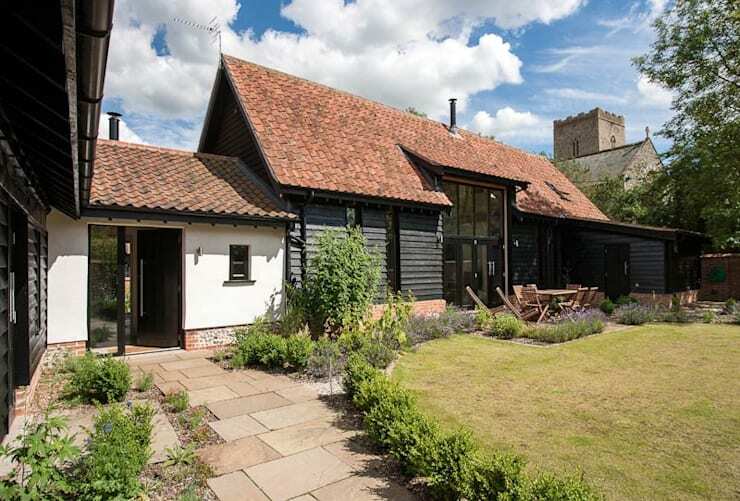 A truly unusual build, this demonstrates that even those homes thought to be beyond saving can be rescued and thanks to the original barn still being in place, we just had to include this in our Top 10 barn conversions. There's something marvellously comforting about a beautifully restored barn that has a heady combination of dark and warm tones running throughout it, don't you think? We do, especially when it looks as good as the black cladding and red bricks/tiles combo shown here! Keeping the exterior as traditional as possible, the vast roof makes a powerful impression, as does the agricultural-inspired cladding. With some pared back landscaping in place as well, this is a very happily situated barn conversion that we think eases us into our Top 10 list nice and gently. Now here is something a little more unusual! 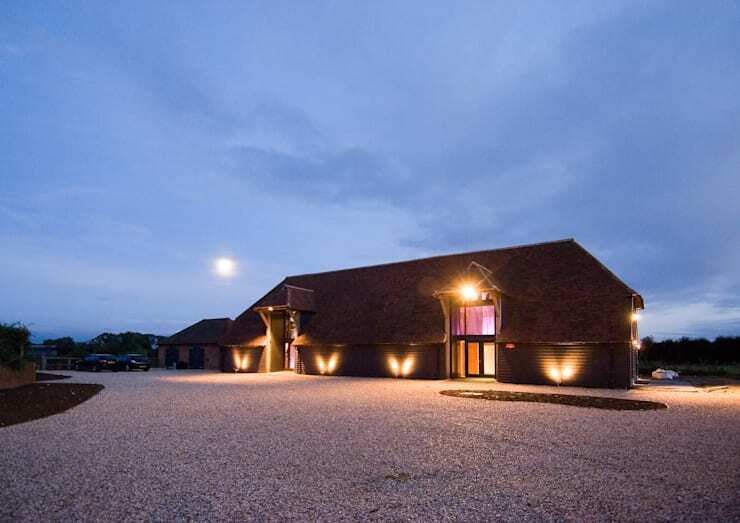 No red clay pantiles here, in fact, this is a super contemporary barn conversion with a very impressive and austere edge! The design team were hired to, Convert a large listed timber-framed barn into a family home and artist studios while retaining as much of the original fabric as possible. Feering Bury Farm Barn is a Grade II listed timber-framed barn. The central structure dates to around 1560 with aisles added in the 18th century. Although it would have originally been thatched, the original roof materials were lost many years ago and had been replaced by corrugated material. Local authority conservation officers were keen to retain the barn’s semi-industrial appearance and insisted that the roof should not contain any visible rooflights. Appearances can be deceptive and while the roof may look like a dark cloud hanging over this house, it has some very clever features, which we might show you in a future Ideabook! You might think that a self-indulgent project is a luxury, but when it comes to planning your perfect home, it needs to be all about you and your wants! That was the case with this beautiful home. There is no denying that this brief was fulfilled is there? 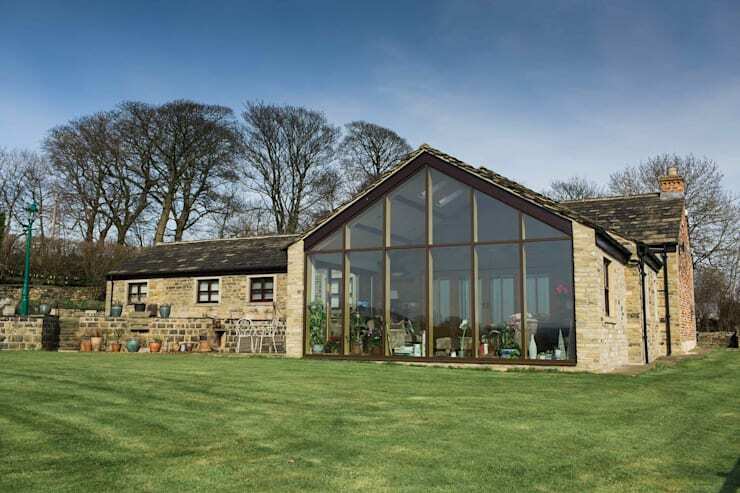 The gorgeous glass wall offers uninhibited views out and is just one of the many lovely features that gains this home a place in our Top 10 barn conversions list. Formerly a derelict barn in rural Oxfordshire, this amazing house has been expertly converted into a lovely and eminently enjoyable home with equal parts rustic and sophisticated, elegant styling. Would you expect anything less from a barn conversion? Embracing the challenges that such buildings present, the design team were vigilant in their determination to open up the interior space to create an open plan vibe, but without losing the original character and charm of the building. We think they got the balance just right! We have featured this fantastic project before and it is so unusual in its design and execution that we couldn't resist singing its praises again! The design team say, As part of a complex of farm buildings, the Quaker Barns have been converted into two dwellings. The form and details of the original barns were emphasised in order to avoid the usual domestic language often found in such conversions. The barns are constructed from local materials such as brick and oak and recycled resources such as straw bale, fibreglass, and car window seals. Now that's not your average menu of materials, but what has been created is something very special indeed and we think it is simply fabulous that the exterior hasn't been 'prettied up'. So authentic! We do like projects that are a little more unusual and there is no denying that this is one such endeavour! Designed to offer temporary accommodation, this modern take on a traditional barn conversion is super, but don't think it isn't legitimate; it actually forms part of a much larger complex of reworked barns and adds a little modernity and comfort. We never get bored of being shocked by the interior of a home that we thought we could easily predict the styling of and this amazing barn conversion has shocked us to the core! 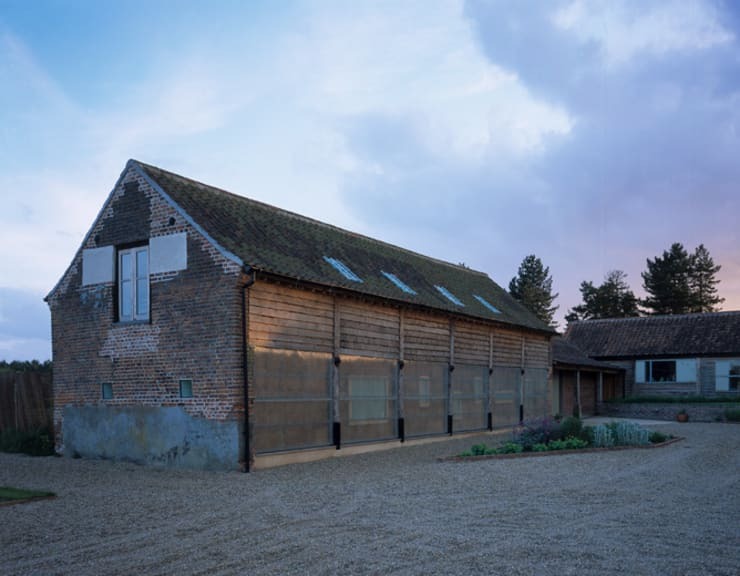 The design team call this, A sensitive conservation project in which the exterior of a 17th Century Grade II listed barn was restored and its interior transformed into a state-of-the art contemporary dwelling. State-of-the-art is right, with a fabulous light show, unusual decor and open plan living room and dining area, this is a home that totally took us by surprise thanks to the understated finish of the exterior! ’Cosawes Barton is a small country estate in the village of Ponsanooth, Cornwall, made up of house, cottage, barns and landscaped grounds. 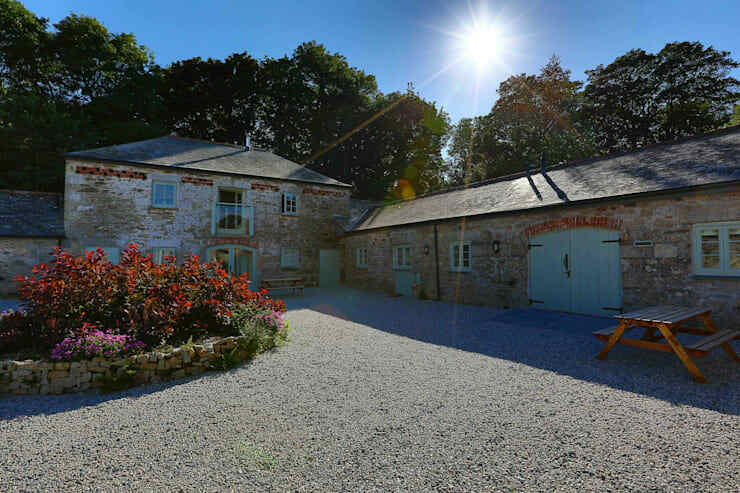 In 2011 prospective purchasers approached Lilly Lewarne with an idea to convert the courtyard of agricultural barns into holiday cottages.’ Despite having been converted for use as holiday lets, there has been no shortage of attention to detail here and we would happily live out our days n one of the fabulous barn apartments! 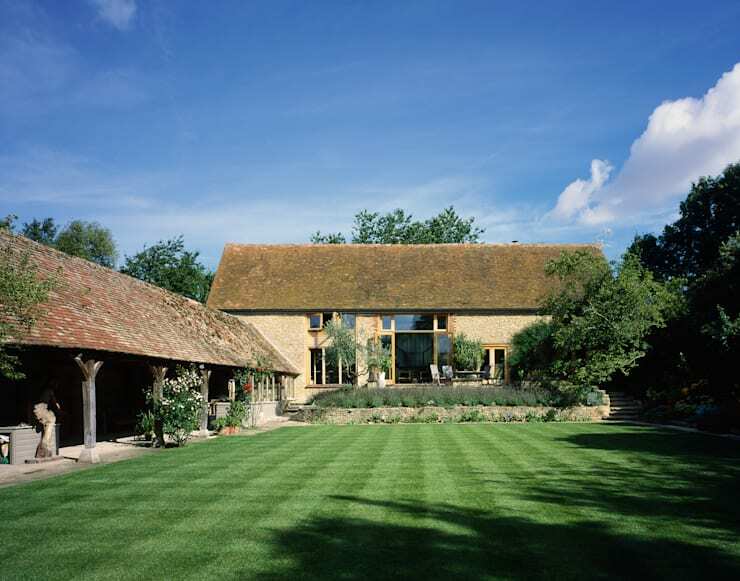 Subtle contemporary touches and a vehement dedication to traditional rustic preservation mean that these beautiful properties are a great way to finish our Top 10 barn conversions. If you'd like to see more of this particular project, why not take a look at this Ideabook: The Heart-Melting Cornish Cottage. Just wait until you see some of the details! Do you dream of leaving the city behind for a country pad? Tell us which of these barn conversions you like the most!